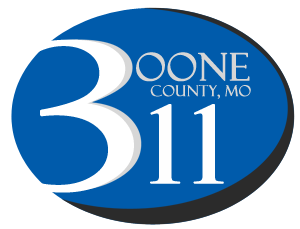 311 is a simple to remember quick dial phone number available to all Boone County residents and visitors to call when you need law enforcement for routine, non-emergency complaints. This number is answered by the same highly trained staff that answers 911 calls, but dialing 311 lets them know that you aren't calling with an emergency. This is an important distinction that allows 911 operators to prioritize calls and ensure they are able to respond to in-progress emergency calls first. This service can be called from any mobile, pay phone, or other land line from anywhere within the Boone County limits. Please help us keep 911 lines open for emergency calls by using our 311 non-emergency law enforcement number to report incidents in which the immediate presence of a law enforcement officer is not required. If you would prefer to contact your local law enforcement agency directly, you can find a list of non-emergency and administrative law enforcement phone numbers below. If your situation is not crime related but you are in need of other services, we have provided a list of alternative quick dial numbers, online reporting tools, and other helpful resources available to you. Please note that air time and other charges may apply when dialing 311. Please contact your phone carrier for further details. Please note that air time and other charges may apply. Please contact your phone carrier for further details.